The addition of an EGFR inhibitor to a chemotherapy regimen did not improve outcomes when it came to cancers of the esophagus. The international, open-label, phase 3 trial randomly assigned 146 patients with nonresectable, advanced, or metastatic ESCC to receive CF (100 mg/m2 on day 1 plus 1000 mg/m2 per day for days 1 through 4, respectively) with or without panitumumab (9 mg/kg on day 1) until disease progression. 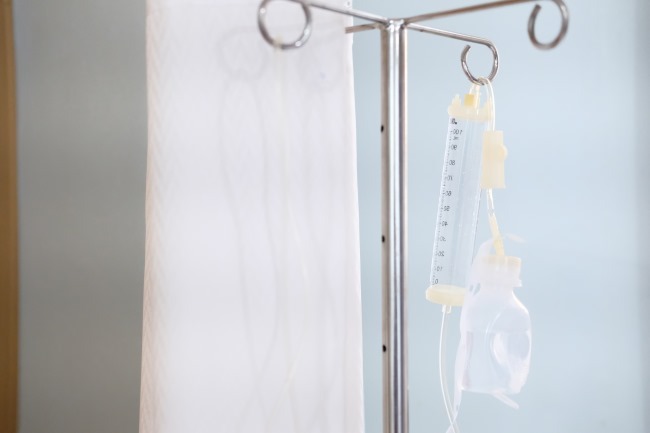 The cisplatin dose in the panitumumab combination was reduced to 80 mg/m2 due to rates of grade 3/4 serious adverse events (AEs) in the first 60 patients. EGFR and MET protein expression were analyzed using immunohistochemistry for prognostic or predictive status, and serum was collected for enzyme-linked immunosorbent assay analyses. There was no difference in progression-free survival (PFS) or overall survival (OS) between groups. The median PFS was 5.3 months with panitumumab compared with 5.8 months with CF alone (hazard ratio [HR], 1.21; 95% CI, 0.85-1.73). The median OS was 9.6 months with the EGFR inhibitor–chemotherapy combination compared with 5.8 months with CF (HR, 1.17; 95% CI, 0.79-1.75). Though there was a numeric trend toward improved survival with panitumumab after the cisplatin dose-reduction, it remained nonsignificant compared with CF (9.8 vs 8.3 months, respectively; HR, 0.84; 95% CI, 0.49-1.43). EGFR and MET protein expression were not associated with clinical outcomes. Prolonged PFS, however, was associated with low serum EGFR levels among all patients (P = .014). Any AE occurred in 83% and 79% of patients treated with the panitumumab combination or CF, respectively. The most common AEs included diarrhea, hypokalemia, hypomagnesemia, rash, and hand-foot syndrome. The rates of grade 3 or higher AEs were generally similar between groups, but skin reactions occurred more frequently with panitumumab compared with CF only (10% vs 0%). The authors noted that this was the largest European trial of first-line palliative chemotherapy plus an EGFR inhibitor in patients with ESCC. The results suggest, however, that the addition of an EGFR inhibitor to chemotherapy did not improve outcomes.